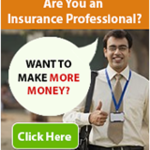 New India Assurance operates extensively in Indian market. Presently, New India Assurance carry out its operation from 2097 offices. 1041 offices out of them are micro offices....Read moreNew India Assurance operates extensively in Indian market. Presently, New India Assurance carry out its operation from 2097 offices. 1041 offices out of them are micro offices. At present, over 19,000 employees and 50,000 agents work with New India Assurance. The New India Insurance Company Limited caters to all categories of general insurance by providing more than 170 insurance products. New India Assurance boasts A-Excellent (Positive) Financial Strength rating by Europe based A.M Best.